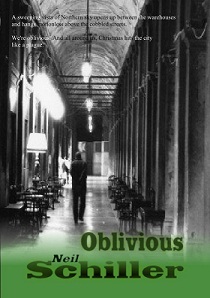 This is almost certainly the wrong place to advertise it, but I’ve made use of the new KDP promotional tool to make Oblivious free for the Kindle for the next 5 days. That takes me through to Boxing Day which I figured might be a good time to get people picking it up. Yeah, I don’t make any royalties on it during this period, but it was never about the money anyway (good job really as it doesn’t make any) and it might increase its exposure a little bit with new Kindle owners looking for freebies. Good luck with that Neil – am doing the same with a couple of my books, one of which has just finished the free period (and shifted loads…hopefully getting on to a few more ‘also bought’ lists). Others start tomorrow. Hope your experiment has a long-term impact for you. Can only help, so well worth a try. Thanks Iain. I think I saw one of your books in the top 10 ‘free’ list when I was checking to see where mine was. So I figured you’d done a bit of promo too. Yeah, I figured it was worth an experiment around Christmas. Let’s hope it works out for both of us.